In all, we had 240 participants register for the Holiday Challenge, and heard great feedback. I learned about the challenge just a few weeks before it launched, so I was very pleased at how easy it was to implement. I will definitely start promoting this earlier next year so more of my clients can take advantage of this amazing resource! Thank you Eat Smart, Move More, Weigh Less! 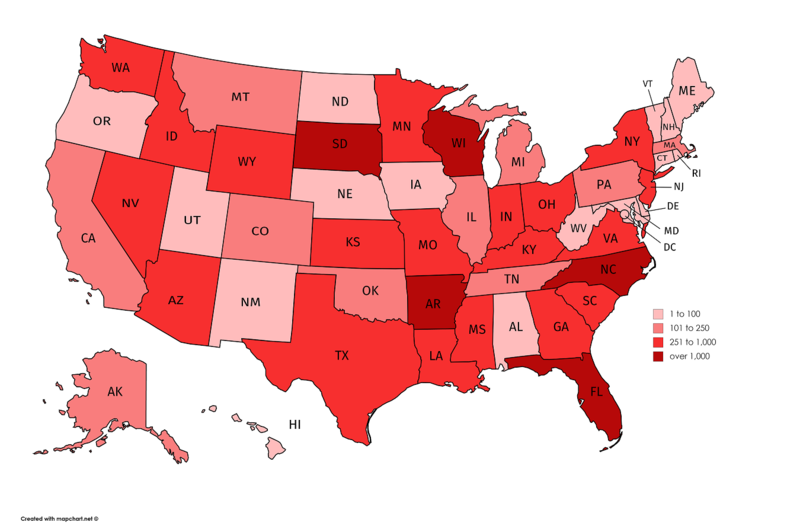 Employee-specific data from the pre and post surveys*. 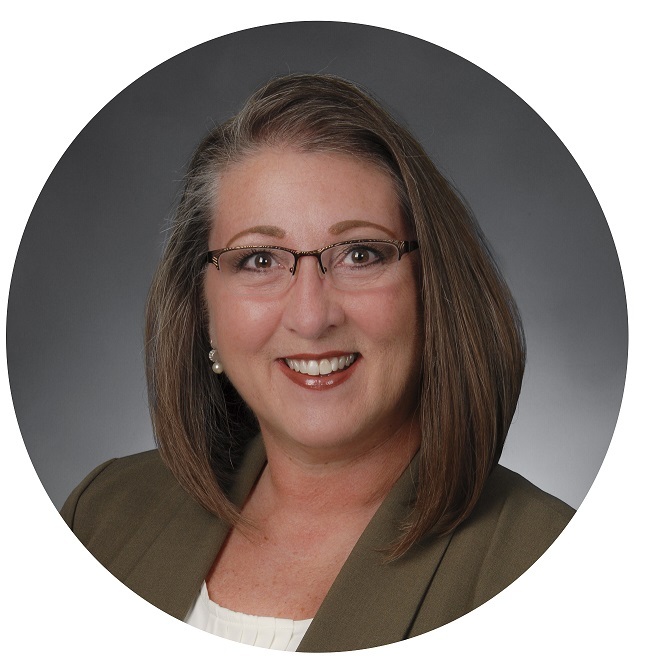 Custom coupon code for employees to join the company-specific group. Employee participation and group participation reports. Certificate of completion template for employees. We can customize with company logo upon request. Due to the increase in size, we will not be able to offer reports or one-on-one support without the purchase of the Employer Package. 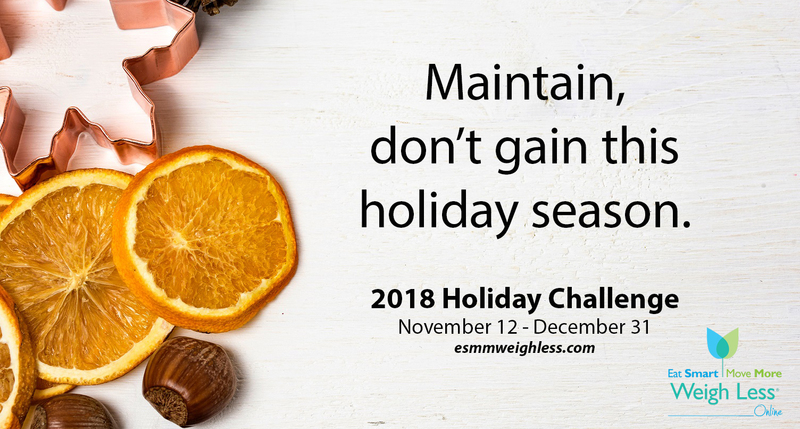 For any questions, please email HolidayChallenge@esmmweighless.com. 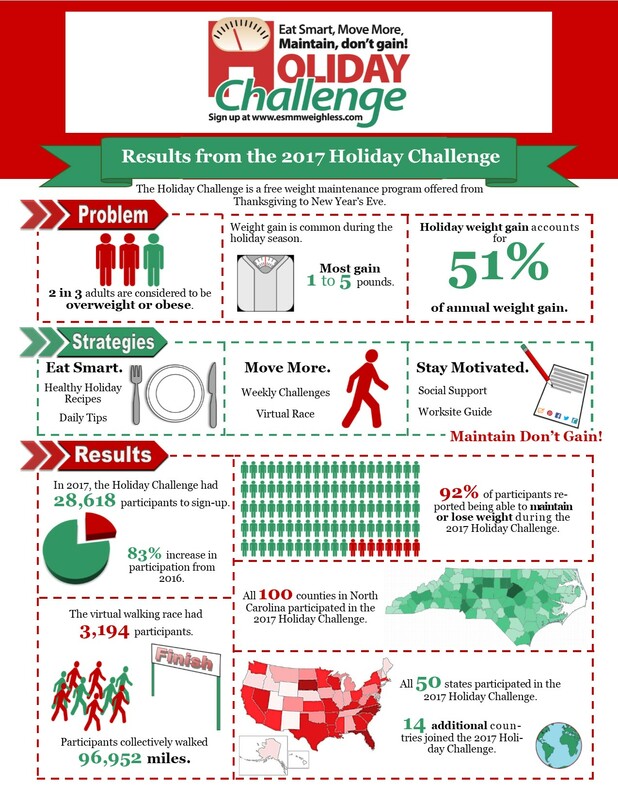 Over 28,600 people from across the United States and around the world participated in last year’s Holiday Challenge. 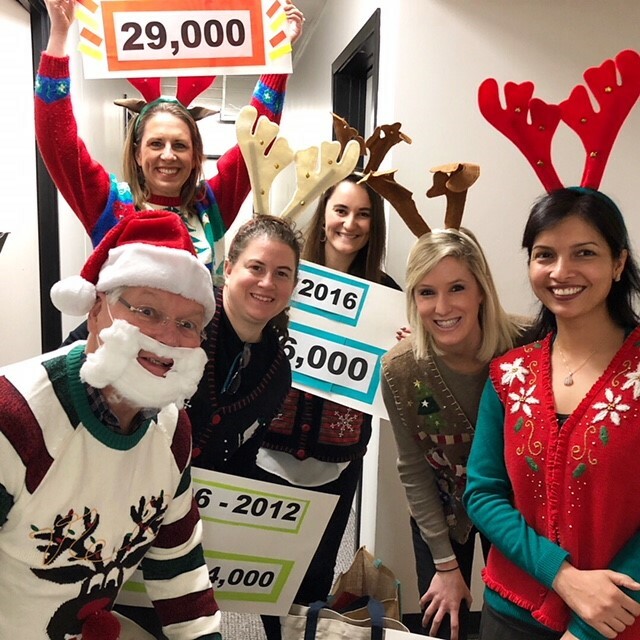 The Holiday Challenge team recently presented the results from the 2017 Holiday Challenge at the NC Division of Public Health, Chronic Disease and Injury Prevention Section Annual Meeting. The results were presented to the tune of “Twas a Night Before Christmas” read by our very own Santa Claus. To see the video, click here.